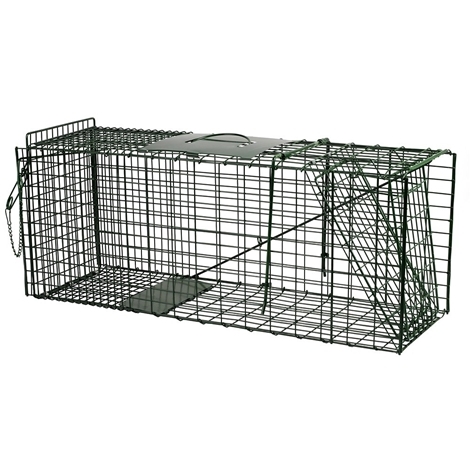 An ideal trap around pets and children, manufactured in robust galvanised steel and powder coated green. This trap takes only seconds to assemble and set. 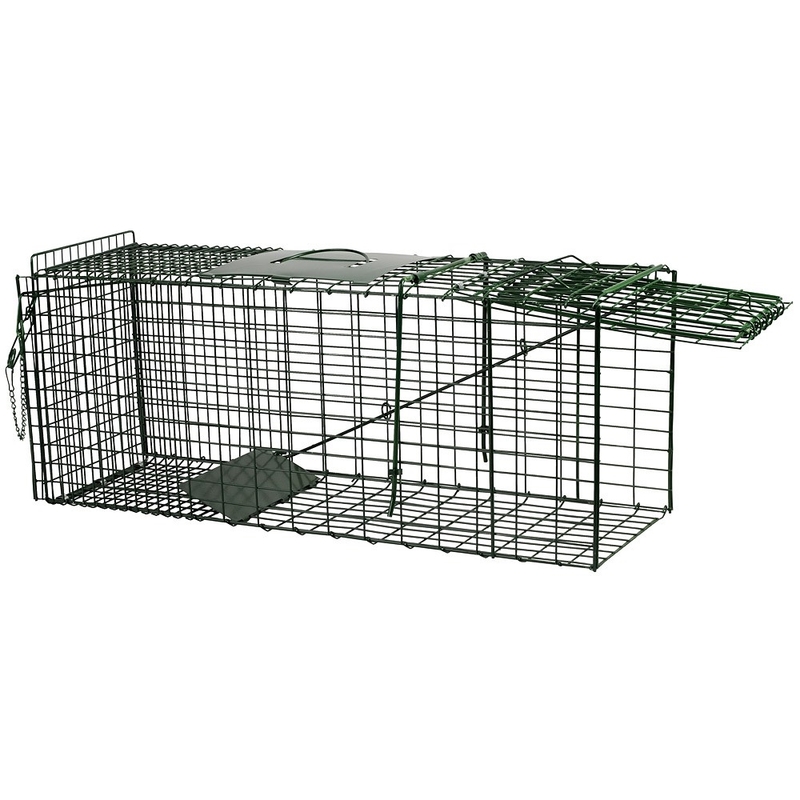 The mechanism is activated as the animal treads onto the plate to reach the bait, this releases the door and closes the trap. There is no way of the animal getting back out once the trap has been fired. 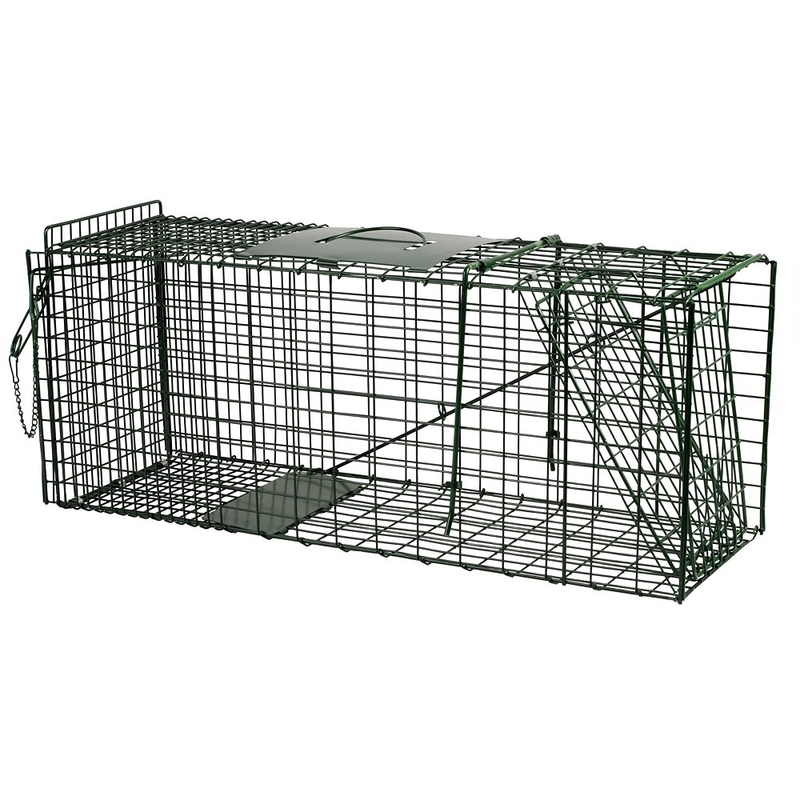 Once baited and set this trap can be safely left with no risk of injury to children, birds or animals and when a target species is captured, the trap and animal can be handled with complete safety.